With the support of the Obama administration, the Mexican government is operating a systematic operation to torture, beat, extort, kidnap, and kill migrants traveling through Mexico en route to find work in northern Mexico and the United States. An April 4 report in the Guardian tells of several indigenous youngsters who were captured by officials with Mexico’s National Immigration Institute (INM), held in captivity, beaten, and deported to Guatemala. The young people, aged 15 to 24, had never been to Guatemala. They were residents of the southern Mexican state of Chiapas and speakers of the Mayan language Tzeltal. 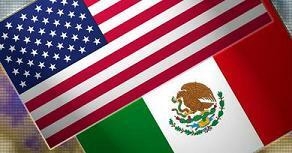 Mexican human rights groups accuse the Mexican government of rounding up Mexicans for deportation in order to fulfill quotas aimed at securing further weapons funding from the US government. Under the Obama administration, the US has given the Mexican government $3 billion to arm and militarize its security forces. In return, the Mexican police, military, and INM have assumed the role of US imperialism’s advance shock troops, terrorizing and deporting migrants in an effort to prevent their ultimate arrival in the US. Since 2010 alone, the United States and Mexico have deported over 40,000 children back to Guatemala, El Salvador, and Honduras. With its Southern Border Program in full effect, Mexico, for the first time in 2015, has overtaken the United States in terms of the number of Central American child deportations. On top of those deported from the “Northern Triangle” countries listed above, the Obama administration has also deported tens of thousands of Mexican children and well over 2 million migrants in total. In 2014, the Obama administration announced that it would reinstate mass detention of migrant families and began housing tens of thousands of migrants, including tens of thousands of orphan children, in cells for fast-tracked deportation. In August 2015, the Obama administration once again defended its family detention program in US District Court for the Central District of California. The widespread government persecution migrant workers face once they arrive in the US has not deterred tens of thousands from seeking to escape the poverty and violence of Central America: from 2008 to 2014, the number of asylum applicants in the US has increased by 1,185 percent. The poverty and violence that have devastated Central American society are not caused by unexplainable historical accidents. Rather, they are the product of the explicit policies of US imperialism, working in collusion with the corrupt national bourgeoisies to rob the working class and peasantry. The US has imposed the will of American banks and corporations on the masses of Latin America through dictatorship, death squads, and invasion. Today, US imperialism can also count the bourgeois nationalist and Stalinist-inspired ex-guerrilla movements as its staunch supporters. These groups, once held-up as representatives of “socialism,” have fully integrated themselves into the bourgeois political establishment and are now primary conspirators in the ongoing attacks against the living standards of Latin American workers and peasants.